Most of the granite block we harvest today, originally came from one of the many granite quarries around New England. Through years of natural weathering, these quarries produced granite in various shades of gray, blended with earth tones; the surface has a slightly rough split face texture. The end result is a unique color palette that simply can't be replicated elsewhere. We are excited to be able to salvage this unique material and re-purpose it into many new and creative forms for retaining walls and seawalls. Throughout New England granite has been used in large pieces of granite were hammered into building blocks from small to massive in scale. These blocks were used in railroad trestles, cellar foundations and as walls of early American industrial buildings. And we repurpose them as beautiful sea walls for your home. There is something about stone in a garden setting that just works. Often a well placed bench, a whimsical ornament or place to sit around a fire just makes a garden. When these pieces are made from antique stone the results are often perfect. Tell us about your garden space and what you want accent it with, we’ll see what we have that might work. 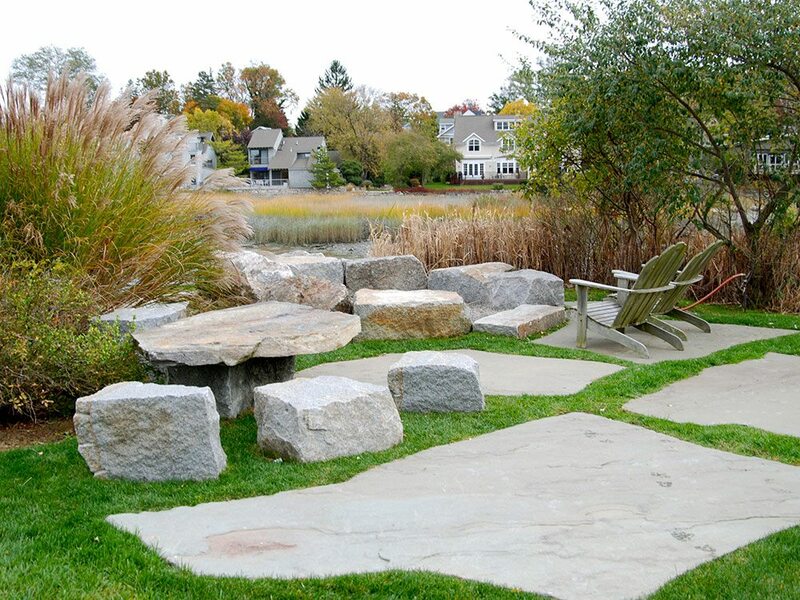 Granite wall block also serves as an excellent resource for benches. Large stone wall block can be used on trails, in towns, or at your home as a bench. 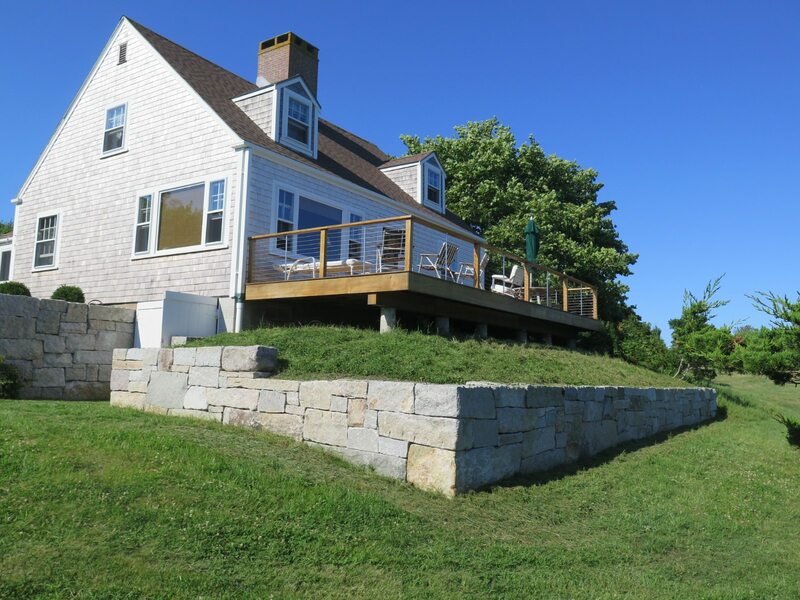 Large stone blocks are harvested and re-purposed as sea walls and retaining walls. 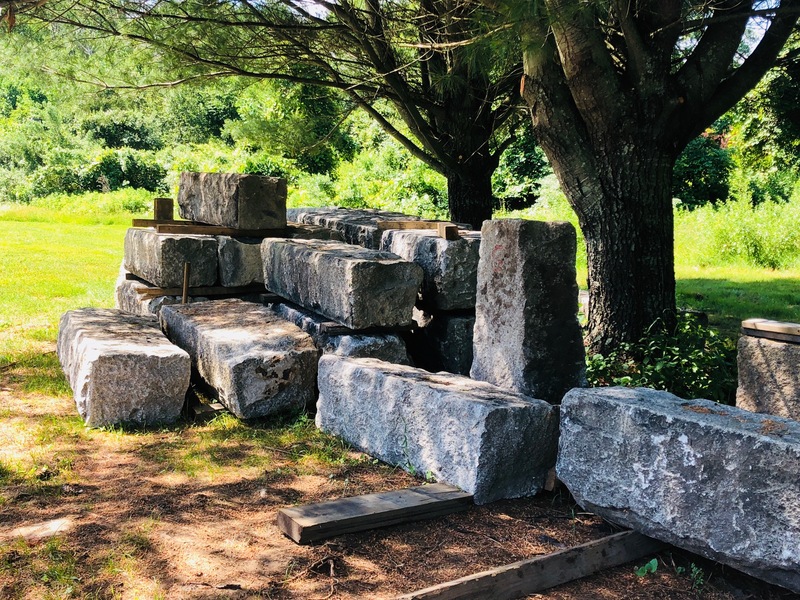 Additionally, these granite blocks make for ideal landings or even benches on town trails or in your outdoor living space. Visit our reclaimed wall block material page to learn more.